Description: Whether it's exploring volcanoes or working in the boiler room of steam-powered ships, it is always a-must to protect your face. All it takes is a sheet of metal with a square hole. 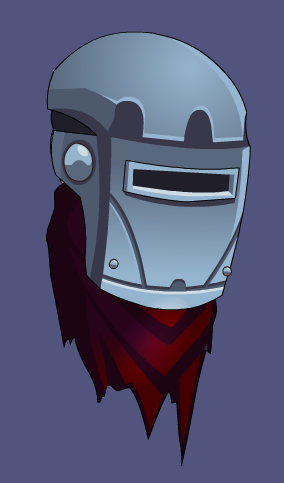 Welder Tricorn Mask + Goggles.